A survey from a research agency claims motorists want cyclists to wear helmets & also want cyclists to pay a fee to use roads. A survey from research agency Consumer Intelligence of Bristol claims that an overwhelming majority of motorists want cyclists to wear head protection, and a third of motorists want cyclists to pay ‘road tax’. Helmets are not compulsory in the UK, and roads are paid by general and local taxation with not a single penny of vehicle excise duty going directly to paying for roads. The belief that roads are paid for by ‘road tax’ is 76 years behind the times as the tax was abolished in 1937. The actual name for the tax that motorists pay is vehicle excise duty, a tax on vehicles, not a fee to use roads. For some motorists paying for they believe to be ‘road tax’, a fee for using roads, gives them sense of ownership over the roads. One extension of this argument is that those perceived not to pay this fee have fewer rights on the road. The survey claims that more than ninety percent of motorists want cyclists to wear helmets. It does not appear the survey asked motorists whether drivers should be made to wear helmets. The PR manager and his assistant are away at the moment so BikeBiz has been unable to source the methodology used in the survey. However, the press release – given in full below – states that Consumer Intelligence conducted an online survey of 1,981 adults on 4th to 7th June 2013. It appears that ‘road tax’ – 76 years dead, remember – was used in the survey questions. "Our intention is not to editorialise but just report the votes the way that they are given. The very fact that people voted the way they did would indicate that the public doesn’t fully understand [what pays for roads]." Consumer Intelligence of Bristol is said to be "an independent research agency that specialises in providing customer and competitor insight, gathering critical information on pricing, service and customer behaviour." The company claims it has "the skills, experience and technology underpinned by a methodology that is accepted by all of the relevant regulatory bodies." One of the forms of animosity towards cyclists is the erroneous, corrosive belief from some motorists that "cyclists don’t pay road tax", an erroneous, corrosive belief now given credence by a market research company that has worked for many blue-chip clients. 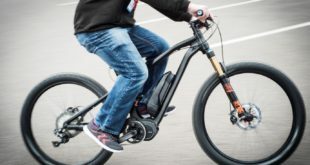 Nearly a third of motorists want to see cyclists paying road tax if they use the public roads and 59% believe insurance should be compulsory for those using pedal power, according to new findings* from independent market research firm Consumer Intelligence. 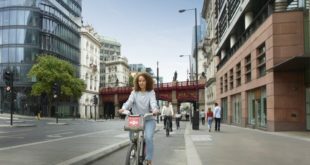 The study of public attitudes to cycling reveals a sharp divide between motorists and cyclists, despite confirmation of the UK’s continuing boom in bike use. More than nine out of 10 motorists believe helmets should be compulsory for cyclists and 83% want cyclists to pass safety tests before taking to public roads. 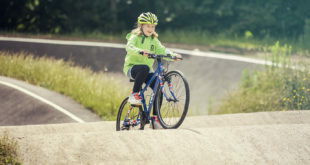 Cyclists themselves largely agree on helmets and safety tests, with 75% backing compulsory helmets and 64% supporting safety tests but there are differences of opinion with only 18% of cyclists willing to pay to use public roads and 37% happy to pay insurance. The British weather is the biggest obstacle to people using their bike more often, cited by 42% of cyclists. Safety is the biggest obstacle for 22% of cyclists, a lack of cycle lanes for 13%, and poor quality road surfaces for 10%. 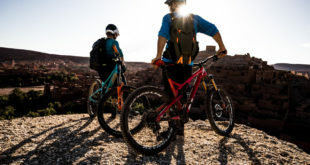 Another 8% cite a lack of places to secure their bike as the primary impediment to more regular cycling, and 4% blame a lack of facilities such as showers or lockers at their place of work. Nearly half of adults (46%) claim they would use bike hiring facilities if they existed in towns and cities they went to. Despite a high degree of publicity over road fatalities suffered by cyclists only half of them (51%) wear a helmet, with men less likely to wear them (47% compared to 55% of female cyclists).